Try this delicious, easy to make classic North Indian Matar Paneer Recipe.The combination of peas, tomatoes and paneer gives this dish a subtle sweetness which enhances the taste of this flavored dish. 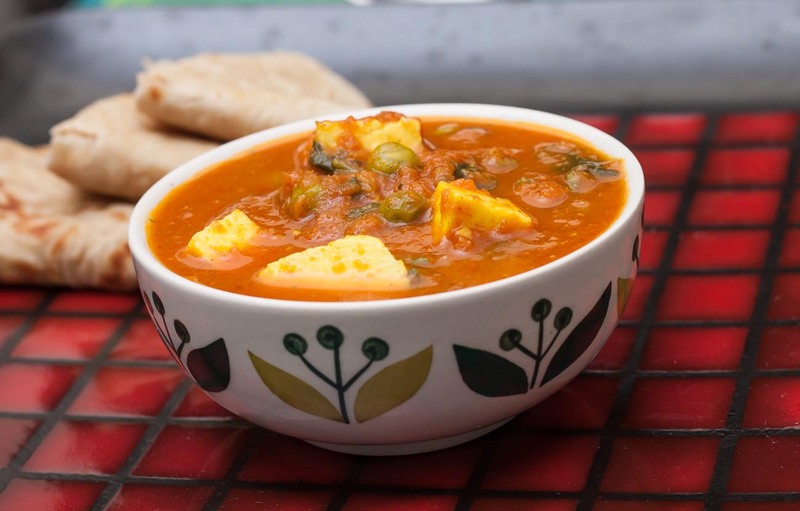 Matar Paneer is an all time favorite North Indian dish. The combination of peas, tomatoes and paneer gives this dish a subtle sweetness which enhances the taste of this flavored dish. With fresh peas in the season, this recipe is good to try. Matar Paneer can be served with Roti to make delicious weeknight meal or it can be served with Puri for an elaborate festive meal. To make Matar Paneer, first cut paneer into even size square cubes. Then prepare the paste of onion, ginger and garlic in grinder. Transfer the paste to a bowl and keep aside until required. Next heat oil in a heavy bottomed pan over medium heat. Add the onion paste to the pan and saute over medium heat until the paste turns light golden in color. 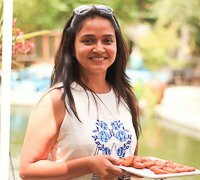 Stir in the tomato puree in the fried paste along with turmeric powder, cumin powder, garam masala powder, salt and red chilli powder. Stir to combine the ingredients. Simmer the mixture for sometimes or till tomato puree is cooked and thickened. Adjust the consistency of paneer matar gravy as per your liking by adding little water to it. After adding water to the paneer matar gravy let it simmer for few minutes to get an even consistency. Finally, stir in the paneer cubes and steamed peas. Simmer the matar paneer for the few more minutes. Turn off the heat. Garnish with freshly chopped coriander leaves. Serve the Paneer Matar along with Phulkas or Puri for a delicious dinner.